More and more people are living with and surviving cancer than ever before. However, your cancer treatment may cause unexpected side effects to the skin, hair, and nails. How can you navigate these changes without affecting your treatment, your appearance, or even your sense of who you are? 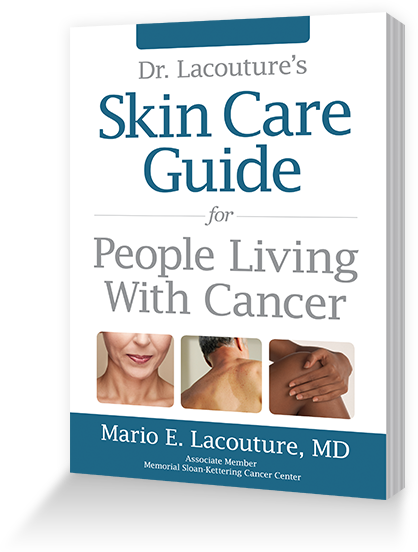 Written by Dr. Mario Lacouture, an expert in the dermatologic side effects of anti-cancer medications, this book offers clear information and practical suggestions for preventing, treating, and living through these skin, hair, and nail changes. Look better and feel better—with specific information for survivors! And much more…see inside for details. © 2012 Copyright by Harborside Press, LLC. All rights reserved.